Tokyo Rebel: New Victorian maiden reserve items, including the Classical Doll Dress! New Victorian maiden reserve items, including the Classical Doll Dress! 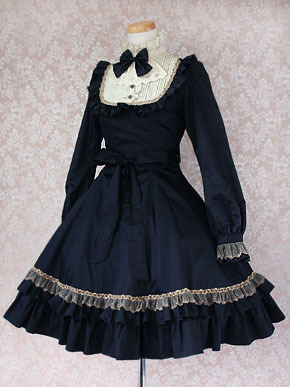 Probably their single most popular item, Victorian maiden is re-releasing the Classical Doll Dress! If you missed it the last time around, now's your chance to reserve one. Available in long or regular versions, and in various colorways. See our Victorian maiden reserve page for more info or to order!